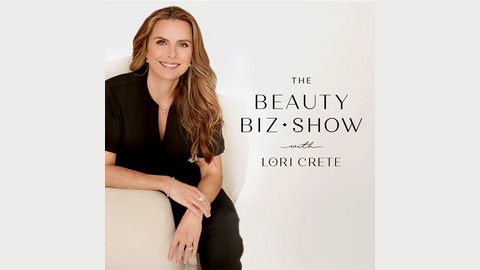 Hosted by celebrity esthetician & industry expert Lori Crete, each Beauty Biz Show episode is designed to help you tap into your best success and leave you feeling inspired to build the beauty biz of your dreams! Featuring industry icons and gurus, revenue-driving tips and motivational messages, Lori and her guests inspire you to burst through stagnant industry norms to flourish in your profession and make a beautiful, abundant living doing what you love. A finalist for American Spa Magazine’s 2017 Women in Wellness Mentor of the Year, Lori is a highly sought after industry expert and licensed celebrity esthetician. Owner of Southern California’s Spa 10, she is also the founder of The Beauty Biz Club™, a success-based society dedicated to helping beauty practitioners around the world fill their schedule, increase profits and break through to the 6-figure mark. 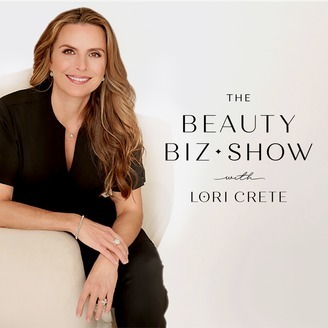 For more about Lori & the Beauty Biz Club, visit https://beautybizclub.com. "I think that a lot of people try to perfect the formula or perfect the website or perfect the car before they get enough feedback. And they're making decisions out of a boardroom rather than listening to their users, customers, and community." - James Sun.